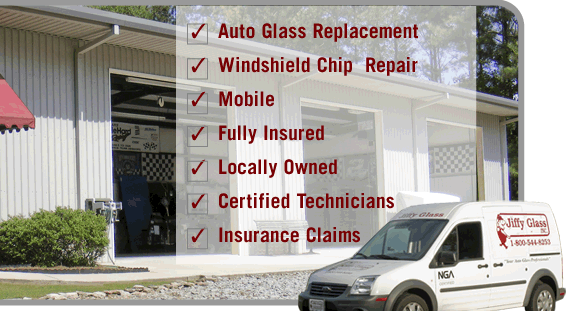 Customer Service and professional auto glass installation is our top priority. Dow Automotive Systems and the National Glass Association. 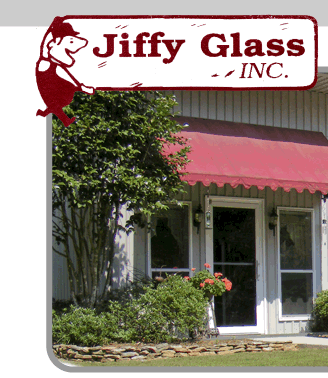 Established in 1991, Jiffy Glass is a locally owned and operated business ready to offer courteous, prompt, and personal attention to one of your most prized possessions, your automobile or truck. We offer FREE mobile service within a 60 mile radius. Jiffy Glass can also handle all the claim reporting to your insurance company or their affiliated direct billing networks.